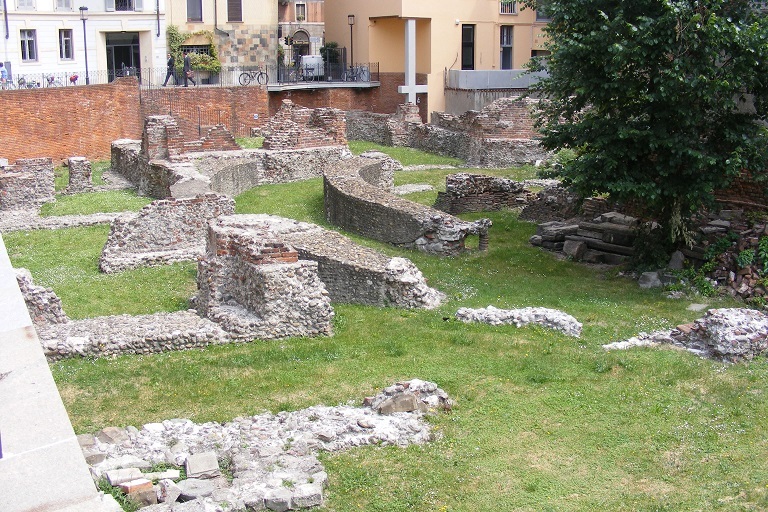 Today we wanted to explore the St Ambrogio area of Milan where there are very early historical buildings, etc, including Roman period. 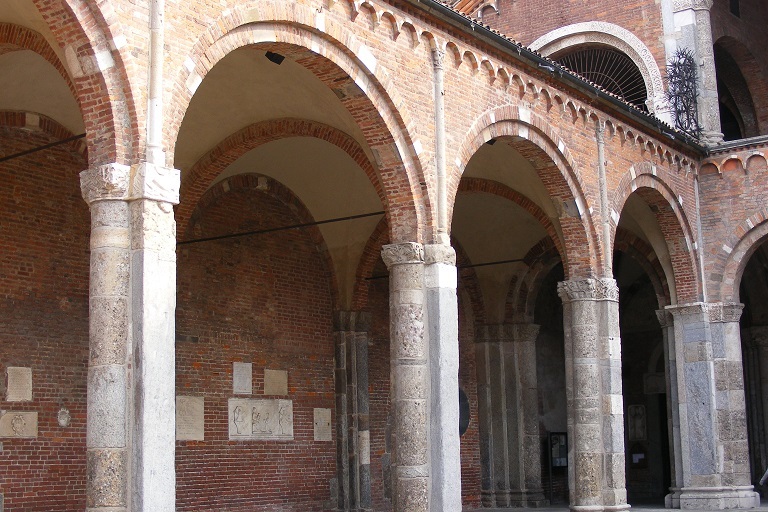 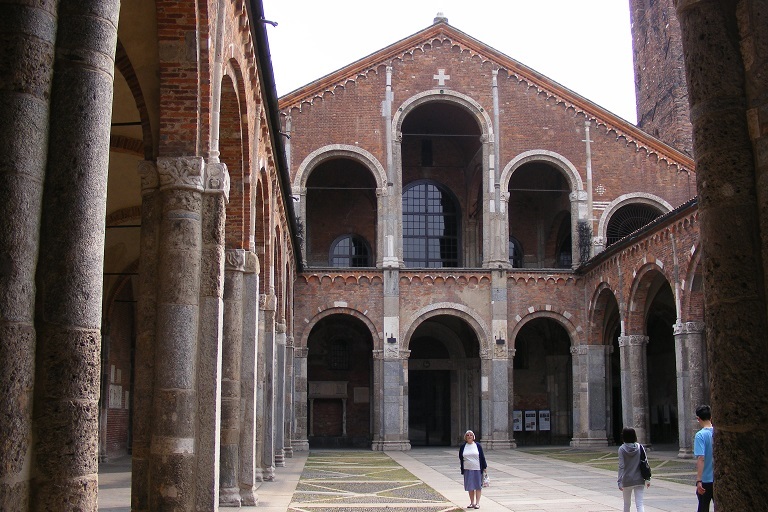 We first visited the Basilica di Sant'Ambrogio. 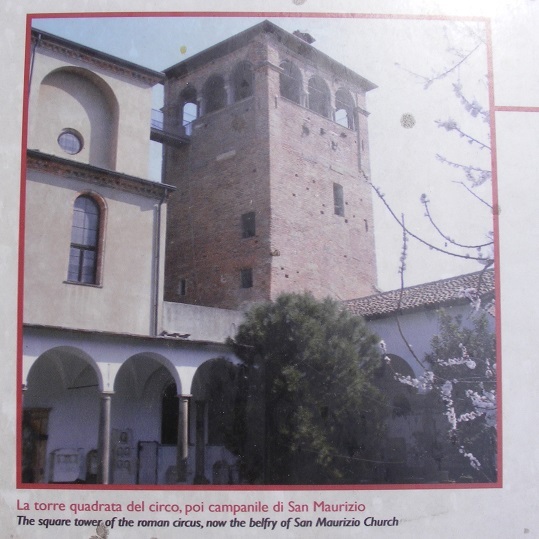 This was a dual church with Canons and Monks and each faction built their own Campanile Tower. 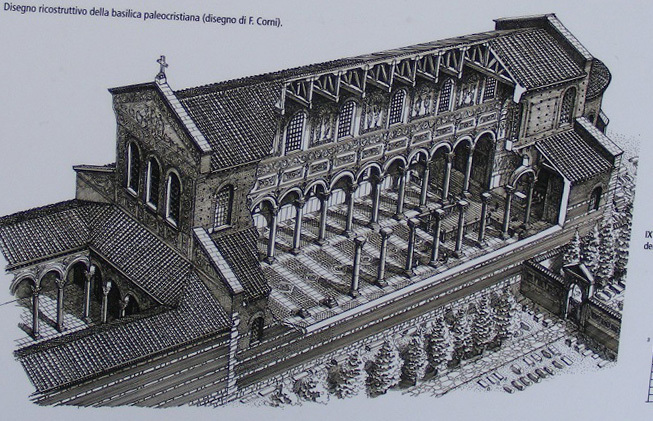 It is a fairly plain building externally with impressive cloisters formed from Roman period columns. 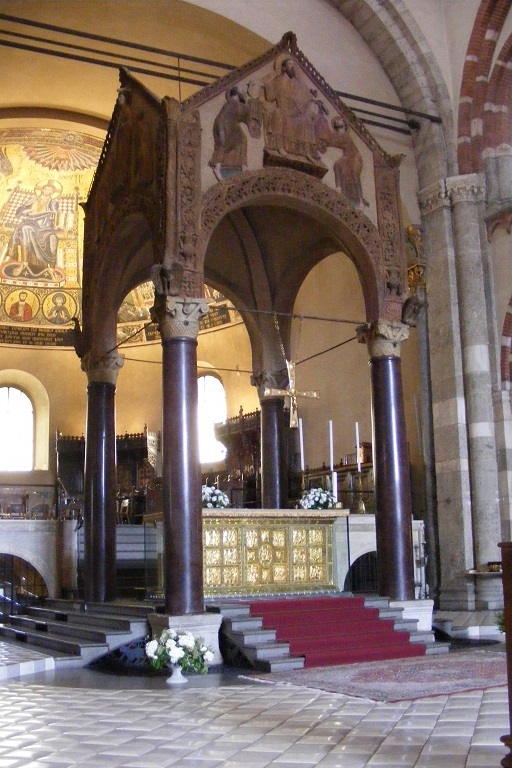 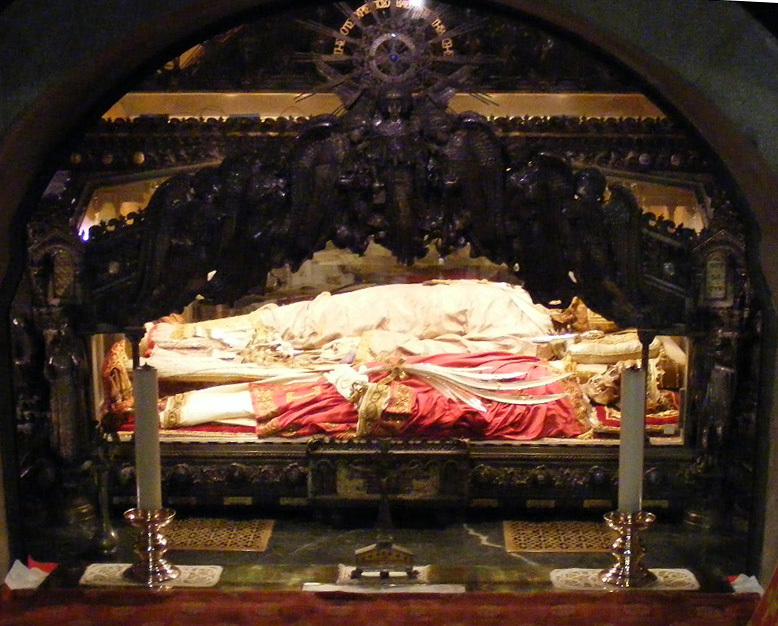 The church was started in 394AD by St Ambrogio and had several makeovers over the centuries. 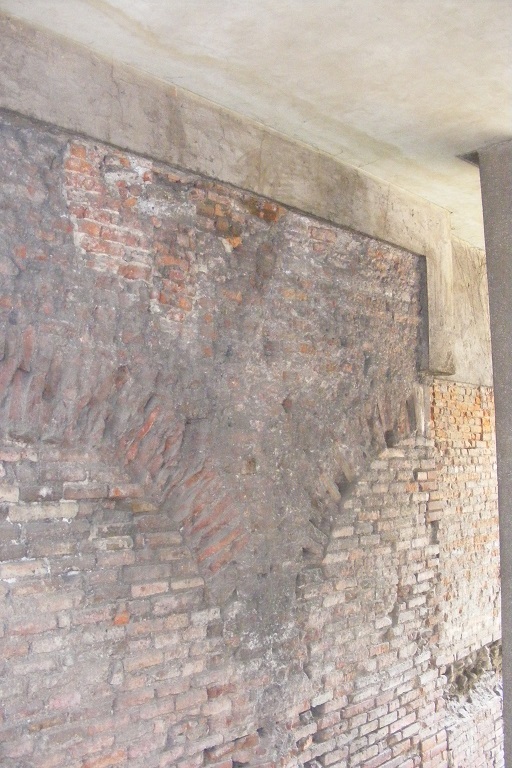 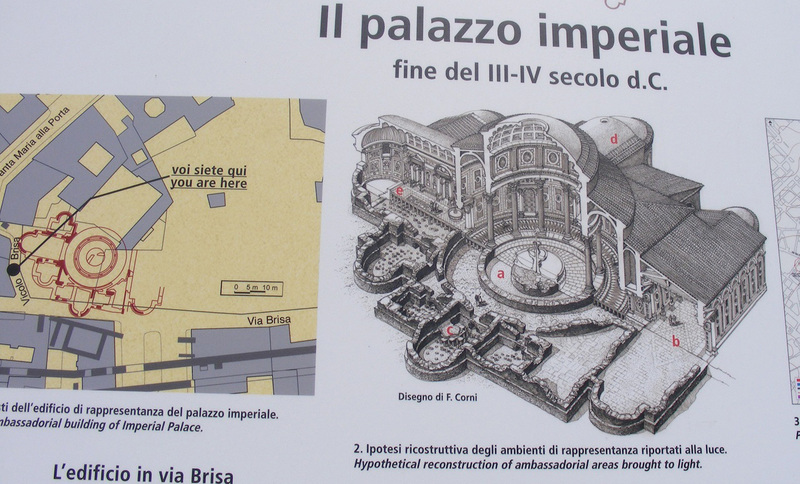 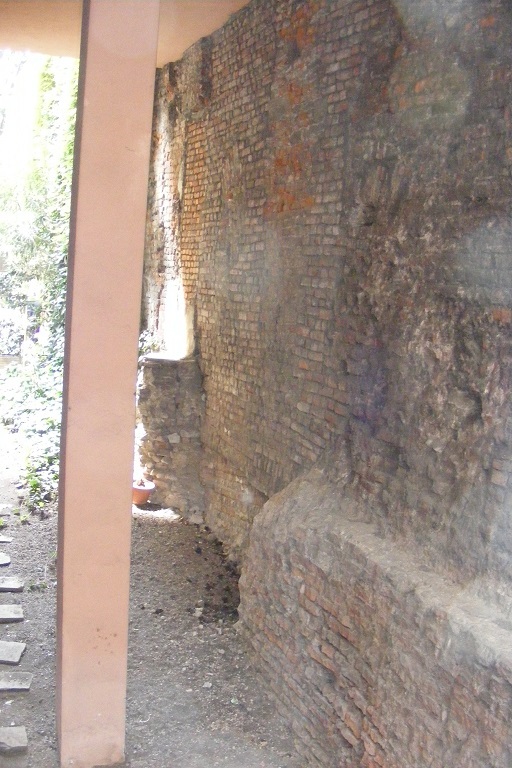 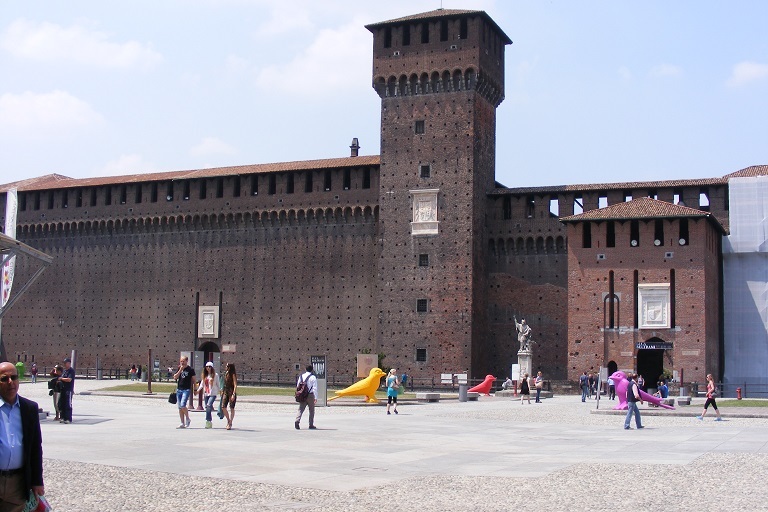 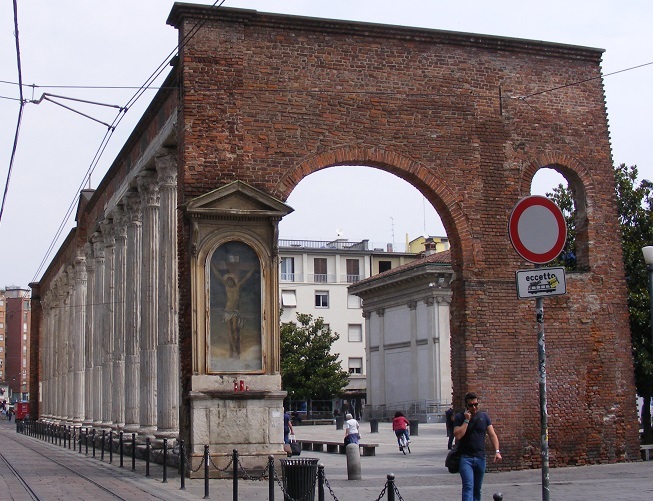 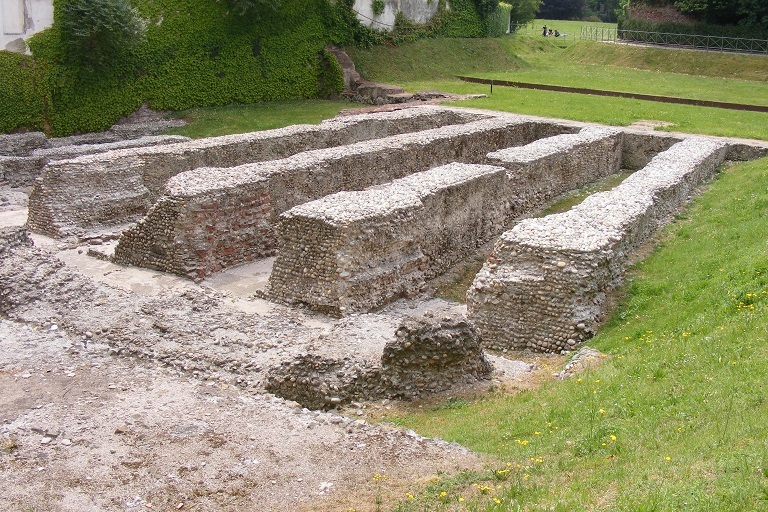 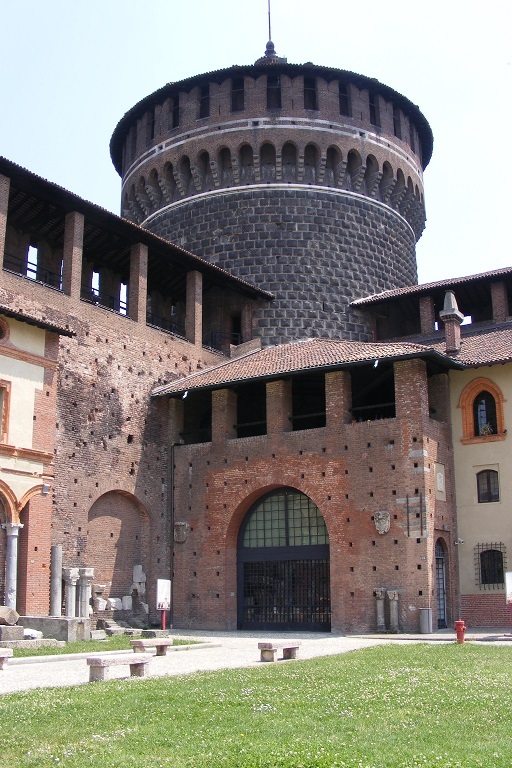 Afterwards, we went in search of the Milan Roman Trail, which included an amphitheatre, a circus, some late Roman period columns and an imperial palace. 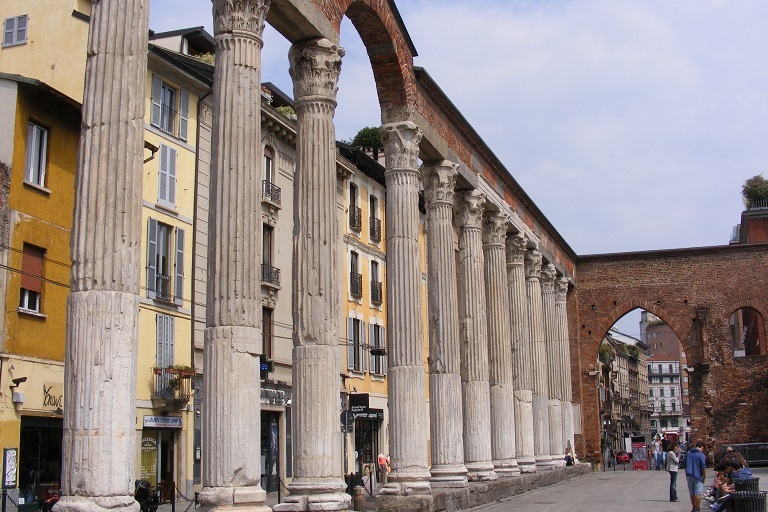 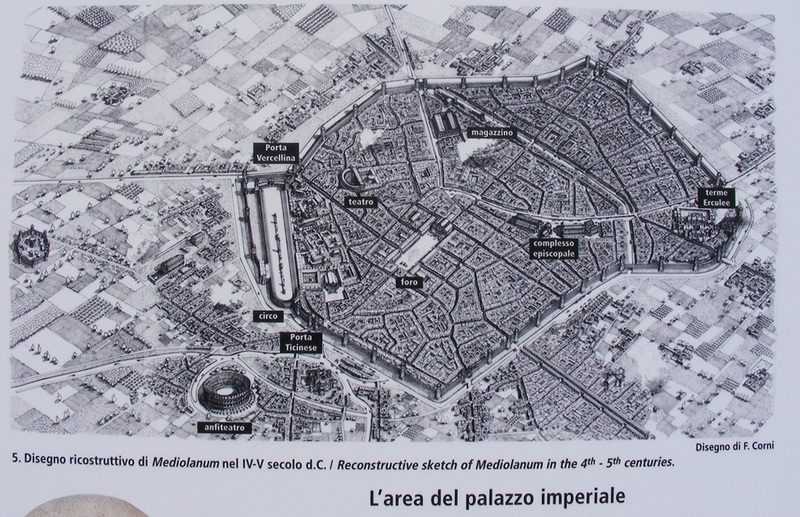 Milan was a very important Roman city, the capital of the Empire for a short period; Little remains of the Roman past now. 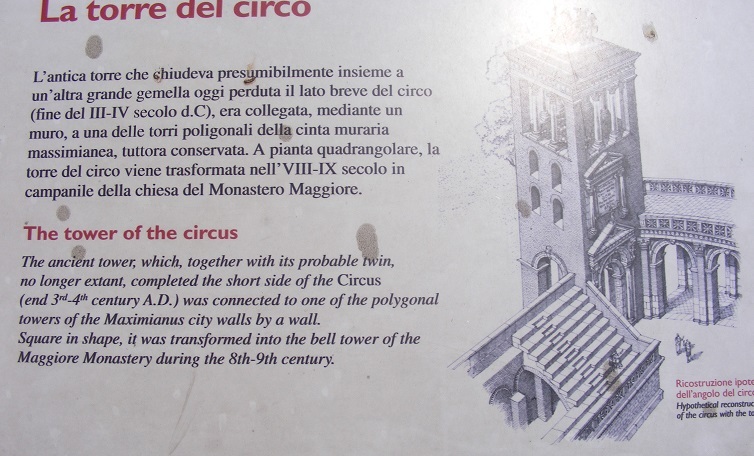 2 views of remains of Circus wall Information panels about Circus Information panel. 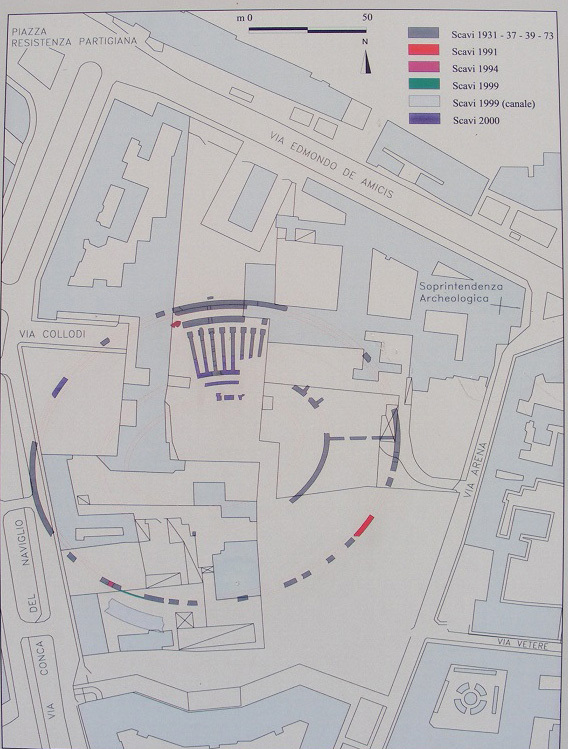 Part of the Circus structure can be seen in The Archaeological Museum grounds; they are covered by scaffoldings and plastic sheeting during repair works. 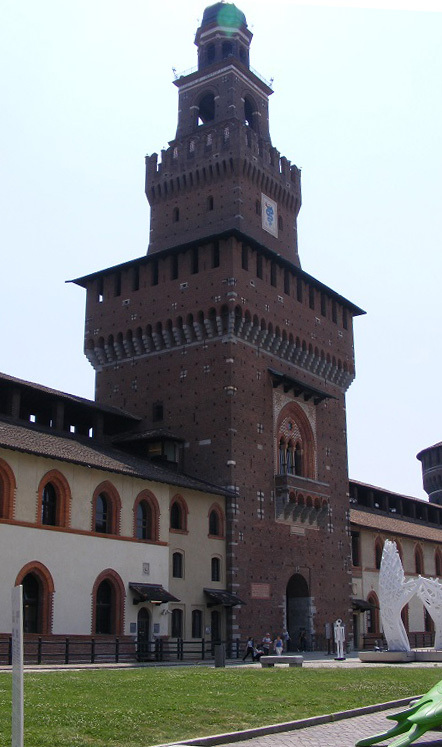 It was impossible to get a photographic records, either my own or from the bookshop. 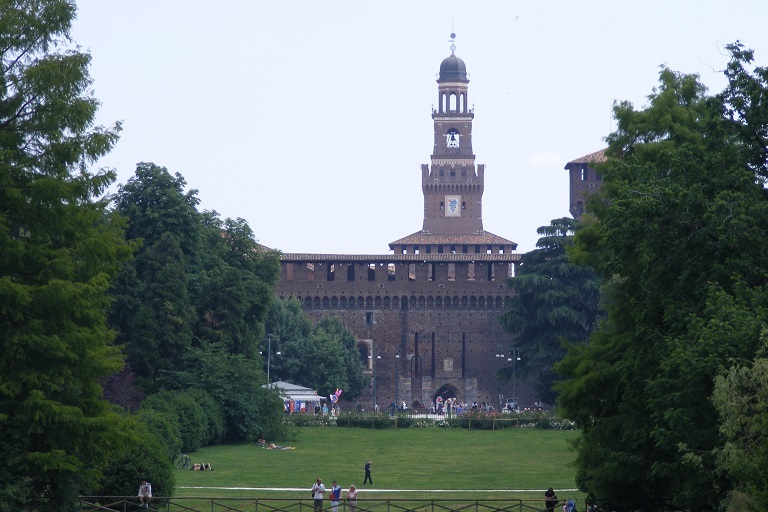 At the end of the Roman walk we found ourselves by the entrance to Castello Sforzesco so we went in, not to visit the museum or collections but to walk through the Castello and into the Parco Sempione beyond. 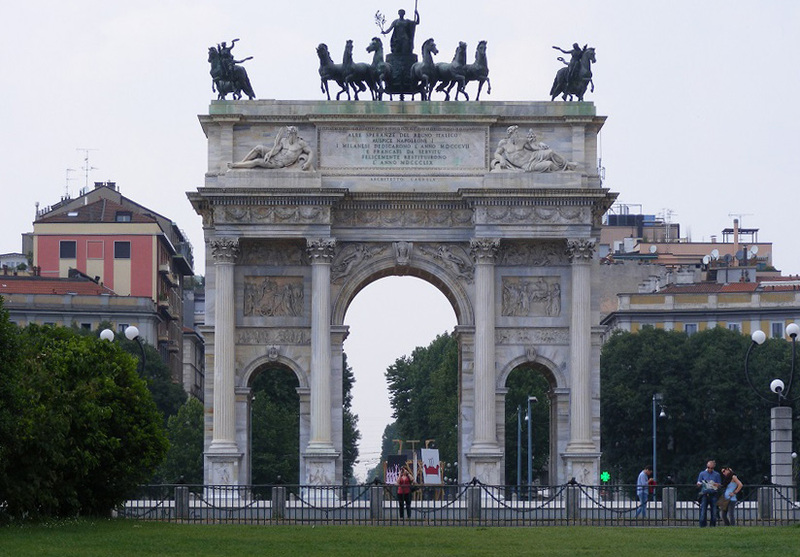 We walked as far as the Arco delle Pace - a triumphal arch in the Roman manner and commissioned by Napoleon. 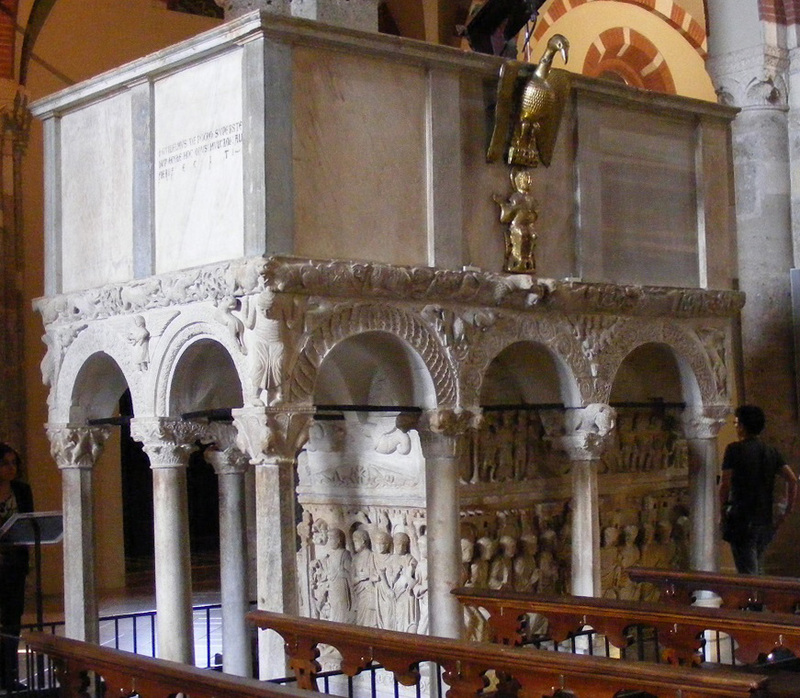 He died before it was finished and later the Austrians made it a peace monument.